The Please Twins! anime series, sequel to Please Teacher!, first aired in Japan on the WOWOW satellite television network on July 15, 2003 and finished with a total of 12 episodes plus a later OVA episode released on DVD. Please Twins! is scripted by Yousuke Kuroda and produced by Bandai Visual, which was later adapted into a light novel and one-volume manga series. It centers around a family of three teenagers in high school all living together who are unsure which two of them are related to each other due to a reference from an old photograph. This figure is Miina Miyafuji by Kotobukiya. It is nicely-done with matte finishes for a more "realistic" look. It is my only figure that is in a leading forward position. 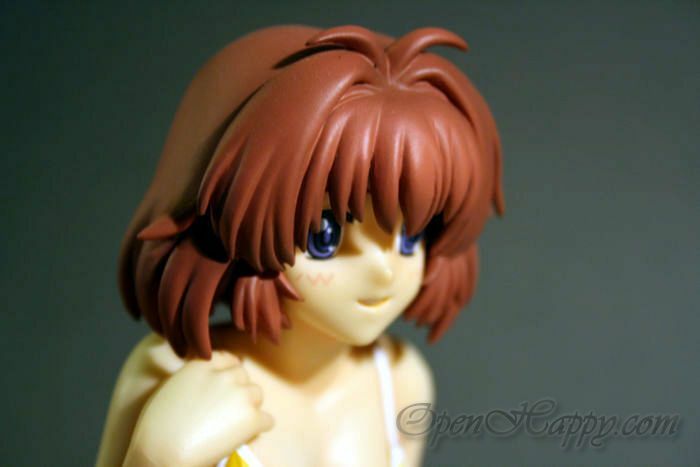 The offical product name is 1/7 Miyafuji Miina Swimsuit PVC and, if you are lucy, you can still find her for 4800 yen. Here are the shoots without light box:. It can see the light is much "harder" and I have to use Fireworks to auto level them. Otherwise, they will be too dark. They do, however, give another aspect of the figure.